“Every molecule in your brain starts at the end of your fork.” ~ Dr. Drew Ramsay (Nutritional psychiatrist). Have you ever had a gut feeling about a person or a situation, or perhaps had butterflies in your stomach? 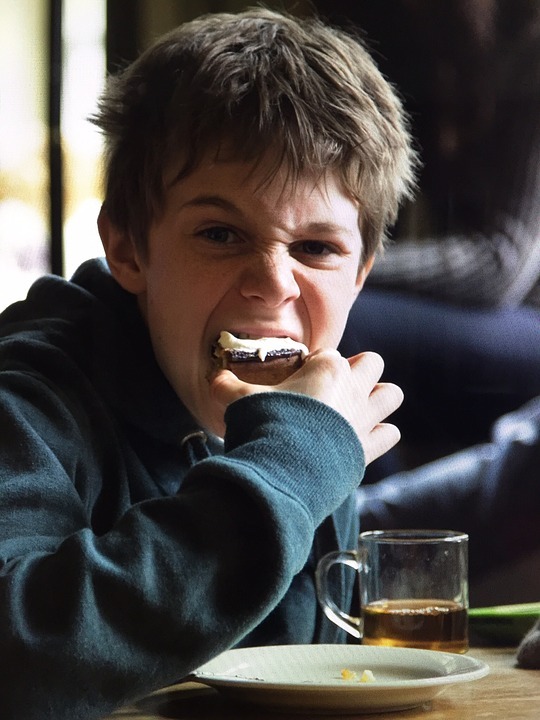 Has hunger ever changed your mood? It certainly brings on grumpiness in my children! 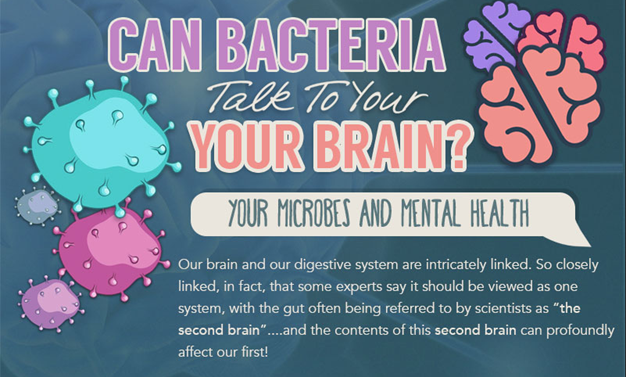 Our digestive system and brain are physically and biochemically connected in a number of ways, meaning the state of our gut microbiome can alter the way our brains work and behave, giving a whole new meaning to ‘food for thought’! In my first post, What You Need to Know About the Most Influential Organ in Your Body I covered some pretty startling facts about the microbiome, but today I’m focussing on how the second brain in our gut microbiome can literally ‘speak’ to the brain in our heads, controlling mood as well as impacting on our mental health. #MicrobiomeMorsel: There are more microbes in the gut alone than there are cells in our bodies. Hippocrates was telling everyone back in 400 BC that all disease begins in the gut, and that food is your medicine. Life in the 21st century has strayed a long way from this ethos. Global populations live mostly in urban areas and are exposed to Persistent Organic Pollutants (POPs,) such as Glyphosate which is prevalent in the western food chain. 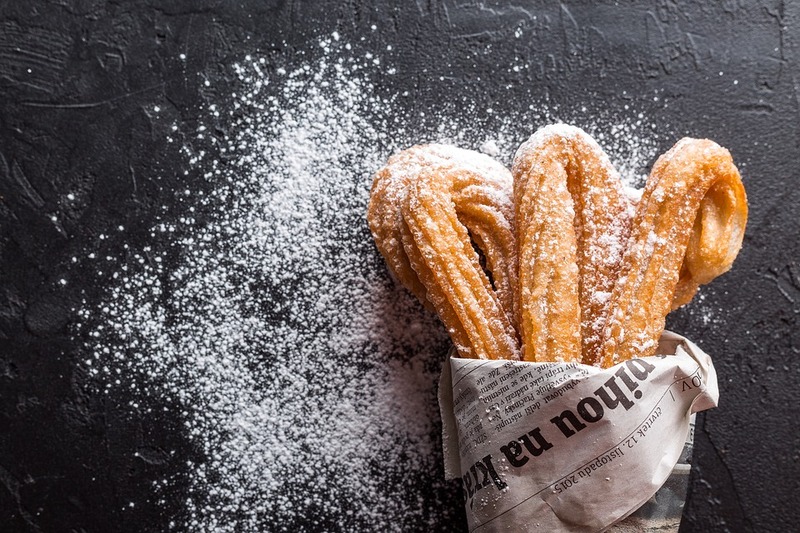 We lead busy, stressful lives, with many relying on shelf-stable, processed food that is high in sugar and salt, with no nutritional content, which have been designed and marketed for taste buds and not for health. Simple carbohydrates such as pasta and white bread are another nail in the coffin. Whilst we all resort to pizzas and fast-food once in a while, it’s worth remembering that on a regular basis, convenience kills. And it kills us with a raft of modern plagues because it is damaging our microbiota. If we don’t feed our microbiota with the food to make them flourish then we are self-harming at a fundamental level. Western medicine, it seems, has a pill for every ill. Drugs are adding to the problem rather than solving it – what has been termed rather aptly as ‘Pharmaggedon’. 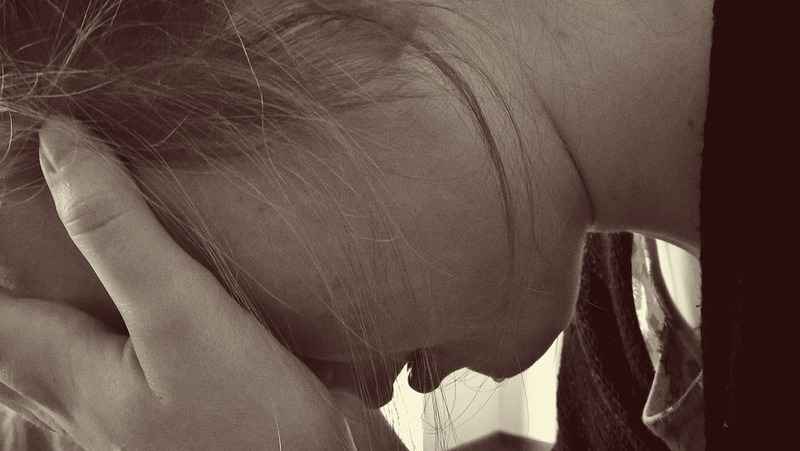 There are 50 million prescriptions for anti-depressants every year in the UK alone. Poor gut health is the root cause of the global health crisis we see today: obesity, diabetes, allergies, auto-immune and disgestive disorders, and believe it or not, mental health challenges like depression, anxiety, OCD and autism. Obesity and diabetes alone threaten to bankrupt the NHS in the next 10 years unless as a society we take a more proactive attitude to our wellbeing. I’ve said it before, but it’s worth repeating: If you fix the gut, you fix the problem! The genes contained in the microbiome outnumber our human genes by 100 to 1 – and by that reckoning we are only 1% human! We are literally walking bacterial colonies. Humans have evolved over millennia alongside these micro-organisms in a symbiotic relationship. 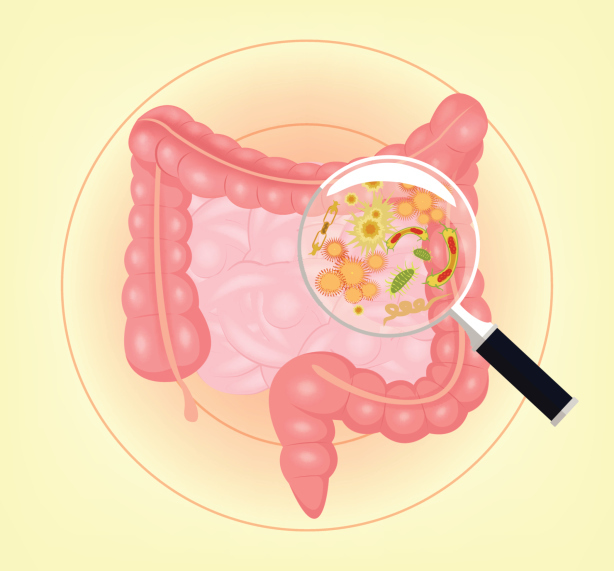 The friendly, essential bacteria helps us to synthesise and absorb nutrients, control appetite, manage weight, make short chain fatty acids (SCFA’s such as Butyrate, the primary source of fuel for the cells of the colon), activate our genes, regulate metabolism, signal the immune system (of which 75% resides in the gut), and affect our mood and skin. Harmful pathogens can upset the balance and if not rectified, a toxic gut microbiome will evolve, known as dysbiosis– a dangerous state indeed. In addition to a poor diet, a toxic environment caused by traffic pollution, pesticides/heavy metals in food, personal and household products; emotional stress is also a big factor. Because the microbiome is so sensitive, even two hours of severe upset and worry can have a negative impact. When we are under emotional stress our bodies are gearing up for an emergency response, and need extra fuel, therefore using more of the amino acid L-Glutamine, which is stored in the gut lining. The mucous membranes are the primary interface between the external environment and the internal environment of the body. Most absorption of nutrients and toxins occurs across the mucous membrane. Most pathogens enter the body by binding to and penetrating the mucous membranes. If this becomes ravaged over time the damage to the gut lining causes leaky gut, where pathogens escape through the now permeable gut wall, and can travel all over the body, igniting many potential health challenges. Constipation/diarrhea – many people who suffer with depression also suffer with constipation or dysfunction of the gut. Our gut microbiome is part of the Enteric Nervous System and weighs about the same as our brain. Even though our brain only makes up 2% of our body weight it uses up to 20% of our energy resources. Inflammation in the Gastrointestinal tract also directly impacts the levels of the feel good chemicals of serotonin and dopamine in the brain. Through evolution our species has had 4 billion years of optimising inter-cellular communication. Our second brains have 100 million nerve cells sandwiched in between layers of the gut which regulate digestive processes. These nerve pathways go both ways, but predominantly travel from the gut to the brain via the Vagus Nerve. These powerful neurotransmitters and sensors communicate with our brain which then processes the information and acts accordingly. The second brain can survive being cut off from the brain via the Vagus Nerve but cannot generate conscious thought. 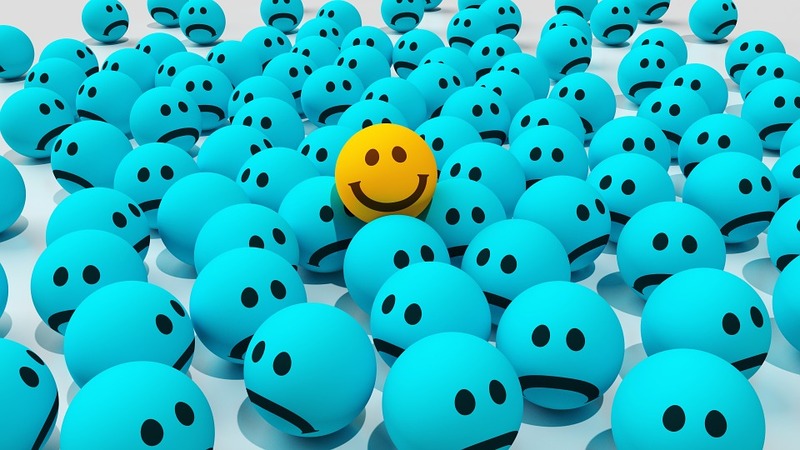 A whopping 95% of the serotonin used by our bodies is stored and produced in the gut in special cells; by far the largest store of that molecule that plays such a crucial role in modulating our mood and wellbeing, appetite, pain, sleep and sensitivity. Serotonin is synthesized in the gut from precursors that come from the food we ingest, because the microbes that live in our gut microbiome produce powerful mood regulating neurotransmitters. It is estimated that 60% of chemical production in the body is due to signals that come from our gut bacteria. Ladies, be aware that the contraceptive pill depletes vitamin B12, folate, zinc levels and kills off beneficial bacteria. When certain beneficial bacteria are missing from the microbiome, so is their protection from disease. 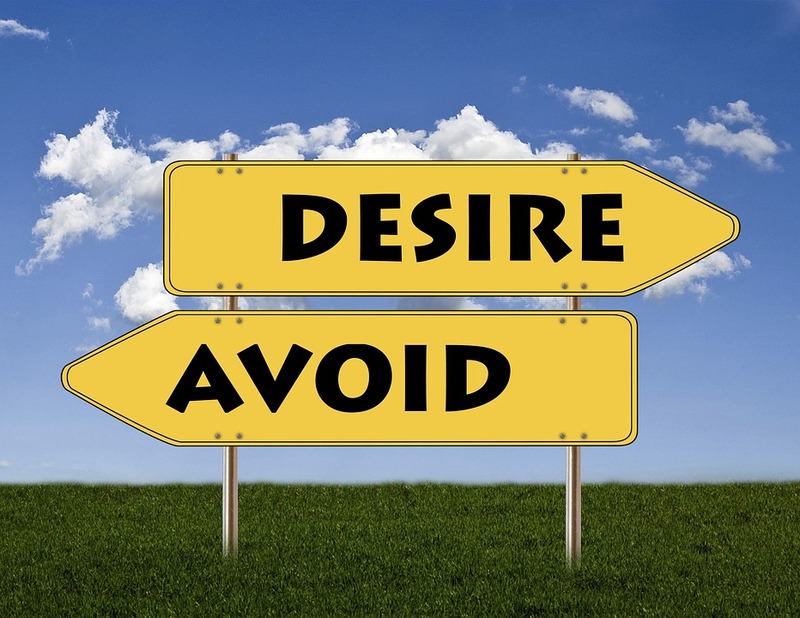 Cravings – the devil in your gut! In my best Bridget Jones moments I used to regularly sit and consume a whole bar of Galaxy after my evening meal. I felt powerless to resist these cravings. If bad bacteria and fungi such as Candida Albicans get out of control they communicate via the information highway from the gut to the brain that you must consume sugar, which they thrive on. It’s almost impossible to resist. The more they get fed the more they crowd out the good guys and the more acidic our bodies become, creating a cycle of cravings for carbs, sugar and chocolate, continually feeding our harmful bacteria, creating a vicious cycle of dysbiosis and ultimately disease. In my next installment I’ll cover the best foods and nutrients that promote a well balanced gut microbiome, as well as a holistic supplementary 21-day programme that turned my gut health around. When you reset the gut and alter your body chemistry these cravings disappear – they did for me. Since last October chocolate has had absolutely no control over me whatsoever. Seven months and counting! Helping people to improve their energy levels and overall health and wellness is a passion for me, so I will soon be setting up an Elite Health Page on the main menu, with links to my health articles (and others), as well as the Holy Grail of supplements I personally use to achieve elite health. Until the next time, be well. 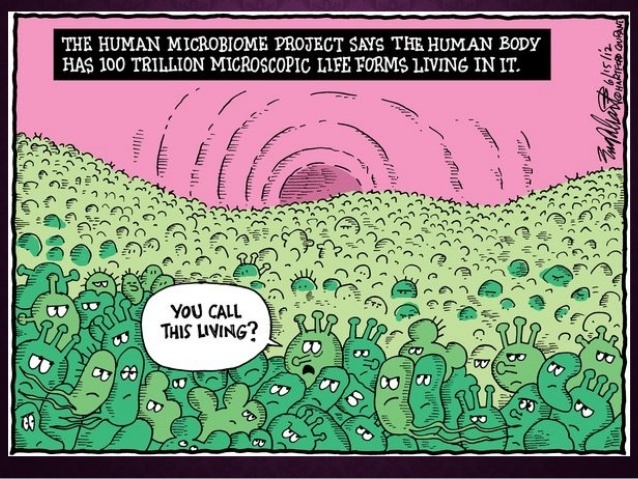 Our own cells though much bigger in volume and weight, are outnumbered ten to one by the cells of the microbes that live in and on us, our trillions of bacteria known as microbiota, the total sum of which constitutes the human microbiome. Right now, your body is hosting 100 trillion micro-organisms, a thriving megapolis of living, hardworking microbes. These colonies of microbiota that make us their ‘home’ live in environments as diverse as the geography of Earth. They may be small, but they are essential. Your inner ‘eco-system’ consists of over ten thousand identified species in strains and numbers unique to each of us, and when our inner eco-system flourishes so do we. 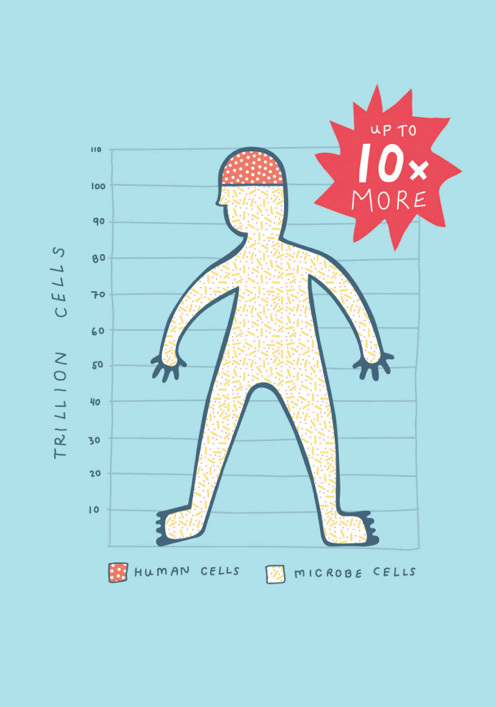 Did you know that only 10% of your cells contain your human DNA? The other 90% consists of bacteria, fungi and microflora – termed by science as your microbiome; and it’s crucial to perform life sustaining functions. 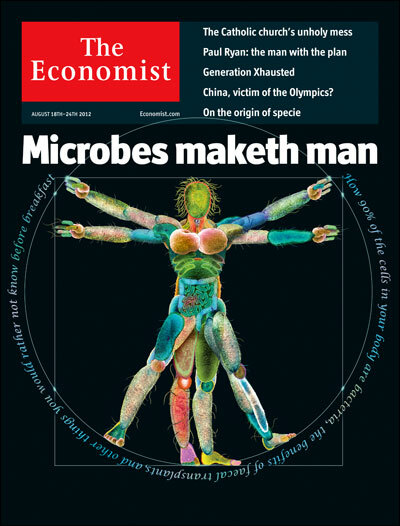 The human microbiome could be considered an additional organ. We all carry approximately 1-2 kg of microbes in our gut. Astonishingly, up to 75 – 80% of your immune system is located in your gut. 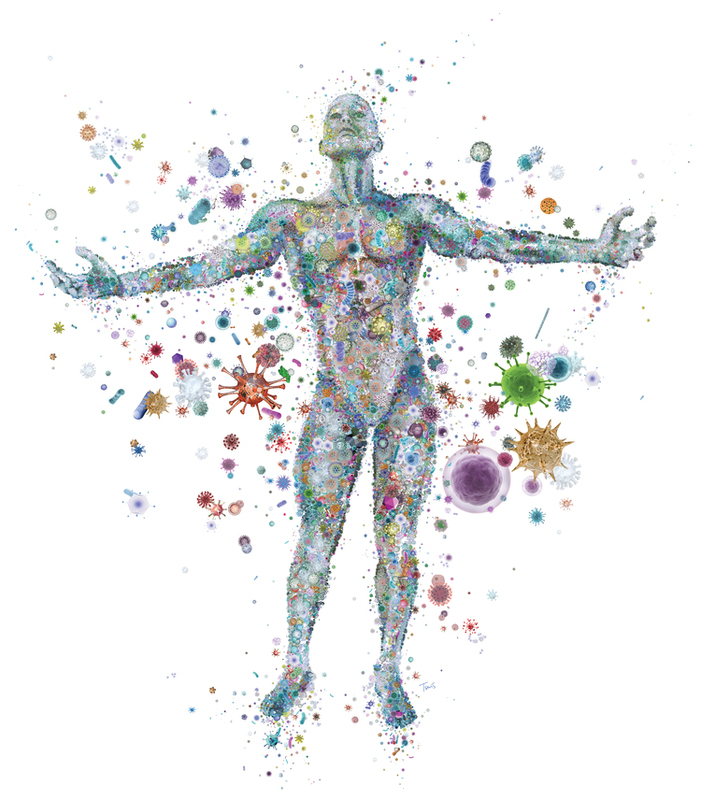 Our microbiome is constantly evolving and is sensitive to food, air, toxins, antibiotics and cosmetics. A healthy gut flora benefits us in a myriad of ways, by performing life enhancing functions such as synthesising essential vitamins, phytonutrients and breaking down tough plant fibres. Scientists are now discovering that inflammation starts in the gut, something that Hippocrates, the erudite father of medicine postulated thousands of years ago when he said, “All disease begins in the gut”. Think of the gut as the centre (or hub) of a wheel, with spokes leading to the neurological system, the vascular system, digestive system, lymphatic system, skin, hormonal system and saliva, (the oesophagus). If the environment of our gut is well balanced – meaning ‘good’ bacteria outweigh harmful bacteria, it allows our immune system to operate effectively and judge friend from foe in our bodies. It is the first, second and third line of defence: skin, mucous membrane and the gut. A healthy digestive system is crucial for the breakdown of food and optimal absorption of nutrients. If disease causing pathogens get out of control and start to rule the roost, ill health will follow. The scientific community believe that a toxic microbiome is the initiator of metabolic illness such as obesity and Cardiometabolic Syndrome. Despite our advancements in medicine, there is a global health pandemic that is costing the NHS and health care providers in America almost 3 trillion dollars a year. 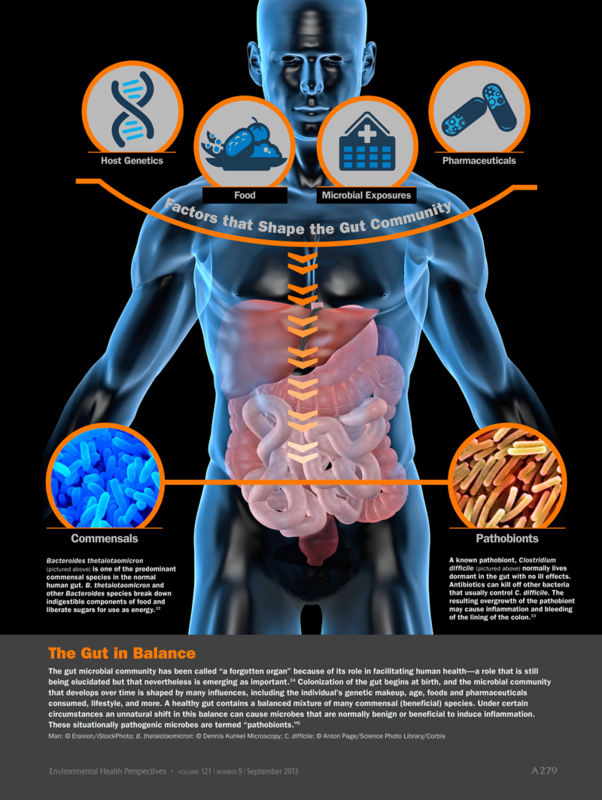 Does the Gut Microbiome Play a Role in Autoimmune Disease? Allergies, digestive disorders, obesity, autoimmune conditions such as diabetes, MS, rheumatoid arthritis, crohn’s disease and lupus are a result of our bodies being in ‘metabolic dysfunction’. Inflammation > Metabolic Dysfunction > Insulin Resistance > Fat Deposition > Cardio Metabolic Syndrome. It seems we have eradicated infectious diseases that were rife in the 19th Century, such as smallpox, measles and polio; but in their place modern plagues have risen from the wastelands of our increasingly toxic microbiomes. Innocuous and harmless substances such as pollen, dust, pet hair, milk, eggs and nuts are being treated by the body as harmful pathogens, so the immune system dutifully attacks what is perceived as germs that need to be removed from the body. And when the body’s immune system goes really rogue, it attacks the body’s own cells. In 1898 hospital records from Massachusetts General Hospital which were kept over 75 years for 500,000 patients indicated that there were only 21 cases of childhood type 1 Diabetes. By the time official records were created just before the Second World War the prevalence of type 1 diabetes could be tracked. Around 1 or 2 children in every 5,000 were affected in the US, UK and Scandinavia. By 1973 type 1 diabetes was occurring 6 to 7 times more frequently than it had in the Thirties. 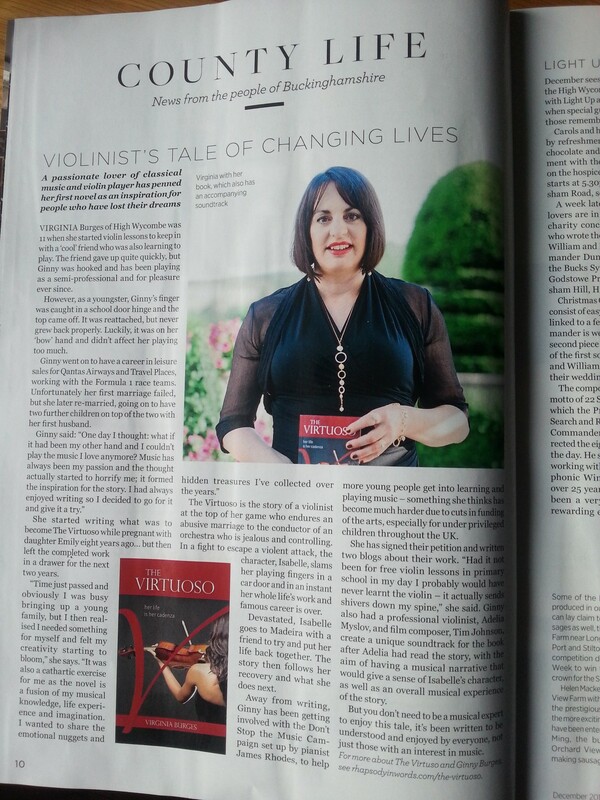 In the Eighties the rise leveled off to 1 in 250 children. The rise in diabetes has been matched by an equivalent rise in obesity and autoimmune diseases. Should we accept the increase in illness as a fact of life in the 21st century, when we have more knowledge and scientific advancement at our fingertips? Could it be that we have overlooked the fundamental role our colonies of bacteria and basic nutrition play in our well-being? Over the past decade emerging research and cutting-edge science into the human microbiome is answering that question with a resounding YES. Scientists have turned to our genes, the blueprint of life, for answers to 21st century illnesses. 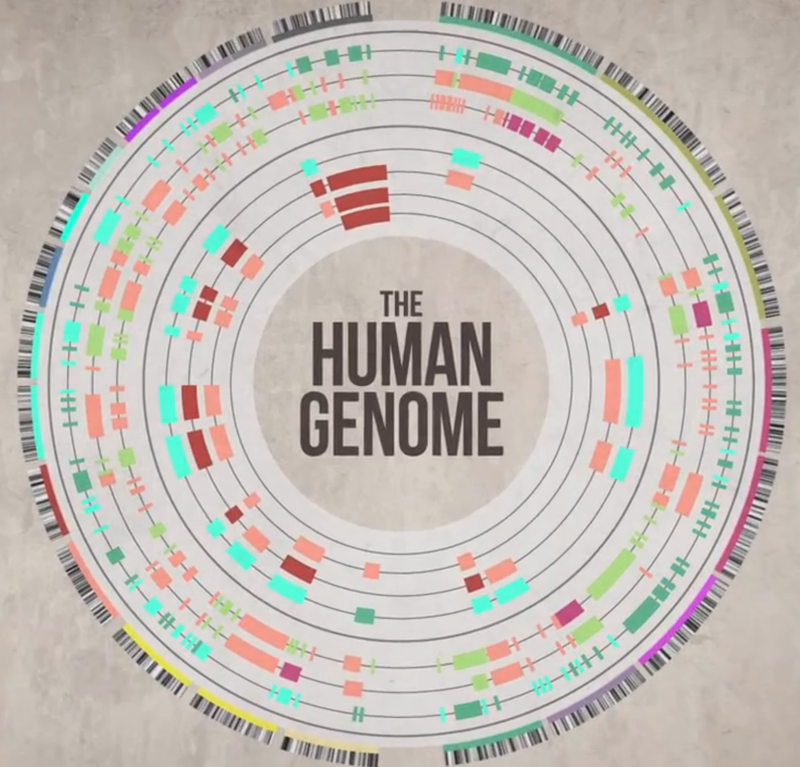 The Human Genome Project unearthed genes that when mutated result in disease. But to blame our DNA entirely for the modern epidemic is unwise. The gene variant that might make someone more likely to become obese is not likely to become dramatically more common in the population as a whole inside a single century. Evolution does not progress that quickly! Gene variants only grow more common though natural selection if they are beneficial to the species, or their detrimental effects are mitigated. Science is left with two areas that are common to modern diseases: the immune system and the gut. When the Human Genome was decoded and mapped fully in 2003 and we could sequence our DNA, scientists were shocked to learn that human body has just shy of 21,000 genes, less than the water flea with 31,000 and half the number of the rice plant. Humans have a similar amount of genes as that of The Worm. Holy cow, how could something as complex as a human being only have the same number of genes as a worm?! The language of how God created life and the supposed key to our humanity did not live up to its hoped for power to heal diseases as President Clinton declared it would at the time. The DNA sequencing technology invented during the HGP enabled another major genome-sequencing programme: The Human Microbiome Project. The micro-organisms living in and on the human body contain a staggering 4.4 million genes. Now molecular biology has the tools to investigate how and why the microbiome is so fundamental to our well-being. We have evolved over millennia by outsourcing our digestion to vast communities of bacteria. Our own 21,000 genes together with the 4.4 million genes of our collective microbiota collaborate in a mutually beneficially arrangement to run our bodies. The HMP has revealed far more about what it means to be human than our own genome ever has. Another discovery was that the human appendix is far from a defunct organ as originally thought by Charles Darwin in his Descent of Man, (the follow up to The Origin of Species). For the hundred years that followed it earned a reputation as something of useless organ, exacerbated by its tendency to sometimes cause life threatening eruptions. By the 1950’s removal of the appendix was one of the most commonly performed operations in the developed world. But natural selection did not eliminate the appendix, and scientists now know that the appendix serves as a safe haven for life sustaining microbes; a microbial stockpile that comes in handy when food poisoning or gastrointestinal infection strikes, enabling the gut to be repopulated with its friendly inhabitants that were lurking in the appendix. Public sanitation systems in the developed world are relatively recent inventions in the history of our species. 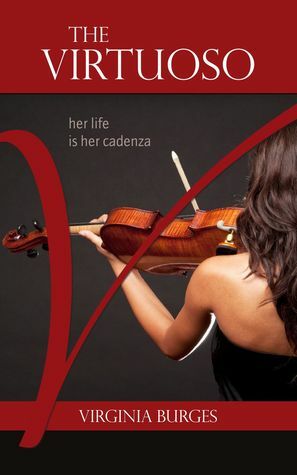 To some degree they have masked the fact that we utterly depend on our microbiota for health and happiness. Doctors are only just waking up to the damage that widespread over prescribing broad spectrum antibiotics is doing, not just solely because pathogens are developing resistance to them, but more so now in how they wage chemical warfare on our colonies of friendly bacteria, adversely altering our microbiome and body chemistry. It’s devastating when a wild fire rips through forests and woodlands, destroying all plant life. This is what happens to the diverse, friendly bacteria when you take a 7 day course of antibiotics. 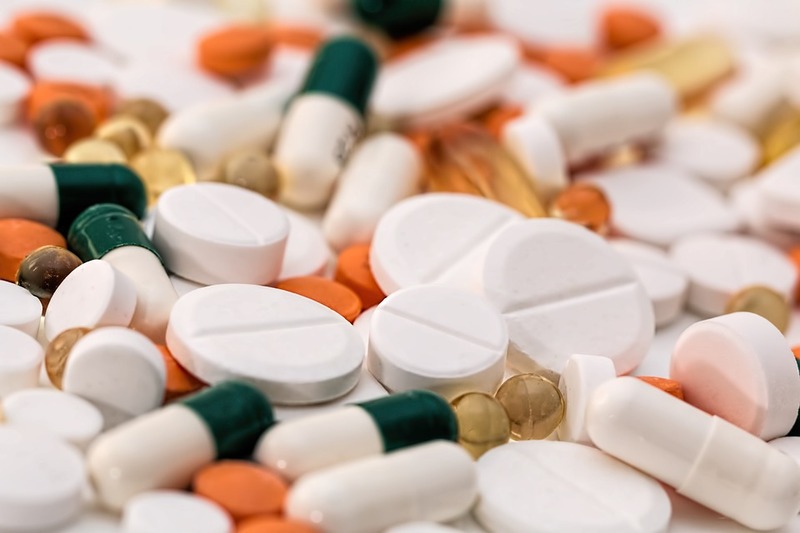 Scientists have found that just one round of antibiotics can disrupt your gut flora for up to two years. Multiple rounds of antibiotics are wreaking havoc on the very microbes we depend on for our health in new generations. Studies have shown that only 6% of American children have the microbe H. Pylori in their microbiome by the time they reach age fifteen. H. Pylori communicate directly with the brain about Ghrelin levels. Grhelin tells your brain you are hungry. If Ghrelin is unregulated you never feel full. 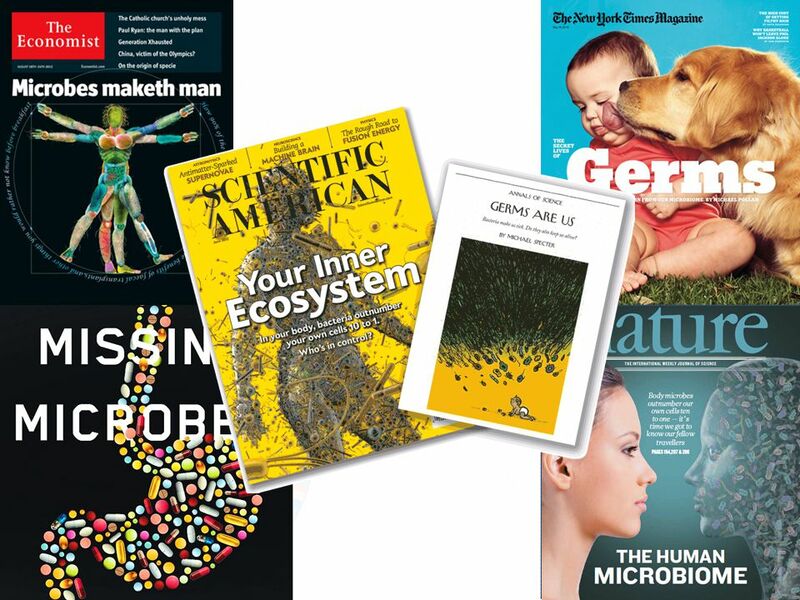 After reading about the microbiome and the relevant scientific evidence I almost started to view myself not so much as an individual, as more a vessel for my microbiota! I’ll be getting inside our guts in more detail in future posts, covering the link between the gut and the brain, why we get cravings, the microbiome in infancy, the nutrients and diet we need to heal, and a detoxification, cleansing and re-balancing solution. Tackling the root cause of illness means focusing on the microbiome and the gut. Fix the gut and you fix the problem! But for now, just remember: whatever you eat also feeds your microbiota, both the good and bad – you never dine alone!